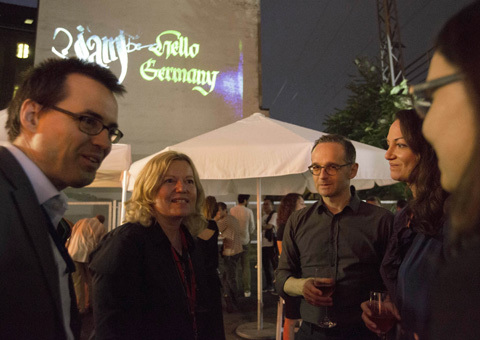 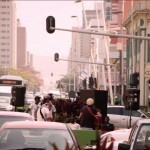 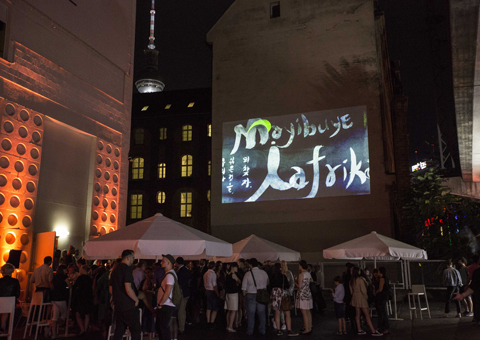 The Long Nights of Ideas curated by the German Ministry of Foreign Affairs invited Digital Calligraffiti to connect the citizens from Berlin and Durban as a new participatory format of intercultural exchange. 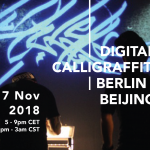 Digital Calligraffiti combines the traditional art form of calligraphy and graffiti with today’s possibilities of urban media art. 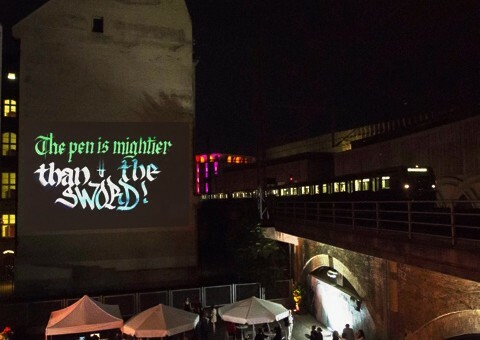 The inhabitants of two cities – Berlin and Durban – will be projecting Calligraffiti messages into Berlin’s urban space and at the same time in Durban during the International Symposium on Electronic Art 2018 opening and at the occasion of Lange Nacht der Ideen in Berlin (01.06.2018). 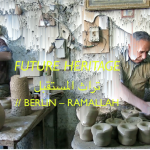 The project is initiated by Public Art Lab and curated in cooperation with ‘From Here to Fame Publishing’ with the artists Michael Ang and Hamza Abu Ayyash. 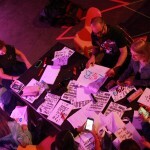 Digital Calligraffiti is co-funded by the Creative Europe programme of the European Union in the framework of the cooperation project Future DiverCities.